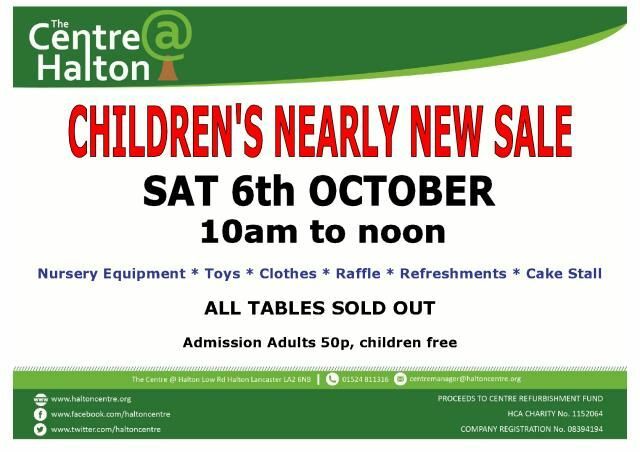 Not long to go til the next Children’s Nearly New Sale! 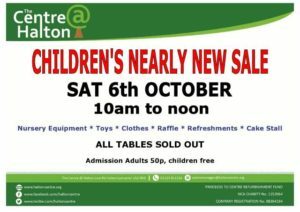 There will be plenty of pre-loved items for babies and children, so do come along and get some great bargains from our sellers. Only 50p entry for adults and free entry for children. There will be refreshments on sale in the Main Hall’s snack bar – volunteers are needed to help for an hour or two on the day, and donations of cakes will be very much appreciated. Please contact Maureen centremanager@haltoncentre.org or call 01524 611316 if you can help.